This post abut how I’ve been keeping my energy up on the go is a sponsored post written by me on behalf of Energems. Do you ever have times in life when you’re on the go go go and sometimes need a bit of help staying awake and alert but can’t stop and take a nap? That’s been the story of my life lately, so I was happy to be able to give Energems a try. It never fails that around 2 pm all I crave is a power nap, or caffeine drip. Until a few months ago, I had honestly never heard of Energems before as I always relied on soda for an extra kick. However, if you’ve been reading some of my previous posts, you probably know that I recently stopped my soda habit. When I drank soda, it was easy to have some in the fridge to take while on the go or make a stop at the local convenience store. Now, I was in a bit of a conundrum as I’m not a huge fan of coffee, especially when it costs 2 – 3x+ as much as my soda did. I’ve never been a fan of energy drinks as their taste and health aspects leave something to be desired. However, something that is made with real chocolate and contains caffeine, B vitamins and an energy mix? I could get behind that! 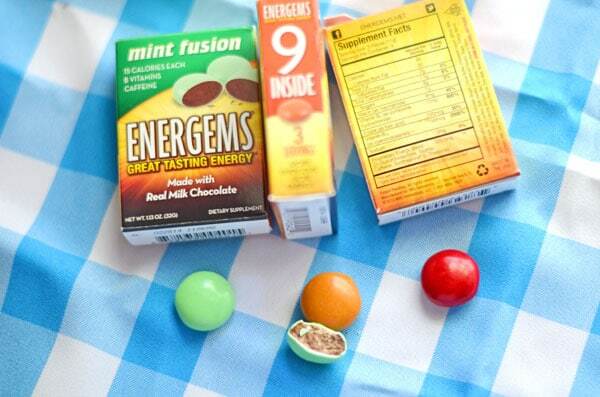 Energems come in mint chocolate (my fave), peanut butter chocolate and plain chocolate flavors. Here are some of my initial thoughts after using Energems a few times. Small, easy to access boxes to keep in your purse, car, office drawer, etc. While not an issue with the product itself, I think it’s very important to point out that these look like large candies, so it’s a must to keep them away from and not give them to kids, those with heart conditions, on medications, etc. Overall, I have really enjoyed using Energems a few times over the past few weeks. They’ve been a great boost my energy and keep my brain clear, so I can get what I need to done when I’m feeling like a nap instead. I really love that Energems taste SO much better than most energy items. The plain chocolate and peanut butter flavors did have a bit of a energy coffee-like taste to them, but it wasn’t too bad even for this plain coffee hater. My favorite, the mint flavor, had a really great mint flavor that overpowered the energy flavor. Plus, I haven’t had any jittery feelings at all or a super crash after the effects wear off, which is really important to me. Are Energems a Smart and Savvy Choice? 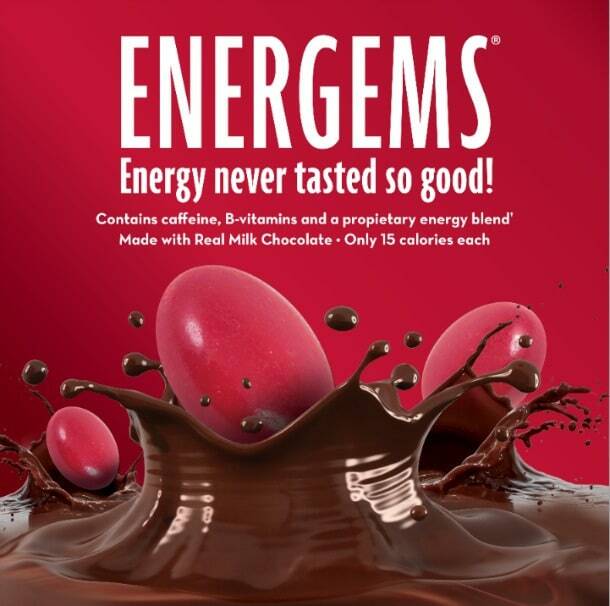 Energems get the smart and savvy seal of approval for an energy boost with good taste and no bouncing off the walls feeling! 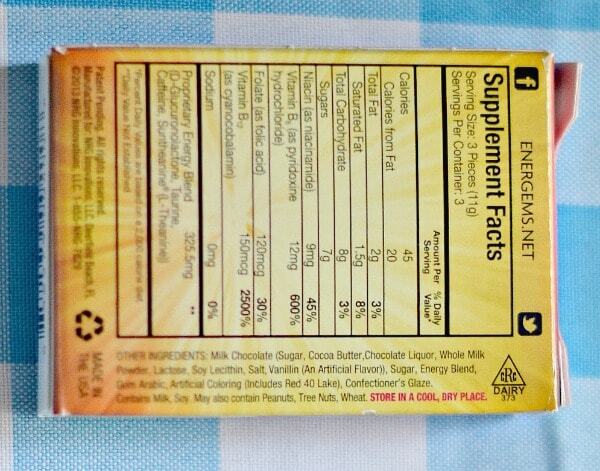 A closer look at Energems nutritional info and ingredients. You can also use the Energems coupon code GETLUCKY at Energems.net to receive 30% off your order! You’re welcome, Mandee, I think it would be perfect for that!